Are we the only ones who get annoyed when we see spring trends pertaining to only one specific hair color? Not all brunettes can shoot to pastel and not all blondes can go dark root. Trust us, WE GET IT. Thats why when we came across this article we HAD to share. Click the link below to see what are the hottest trends of Spring 2019 for YOU. We are in this together! Trendy hairstyles with JUST bobby pins? Im in. Fresh off the Redken Symposium and we are ready for NEW styles! After witnessing some of the freshest techniques in Las Vegas this past weekend, we are ready to take the plunge into bold, different styles. We came across this article and it is EXACTLY what we needed to jumpstart our new skills. 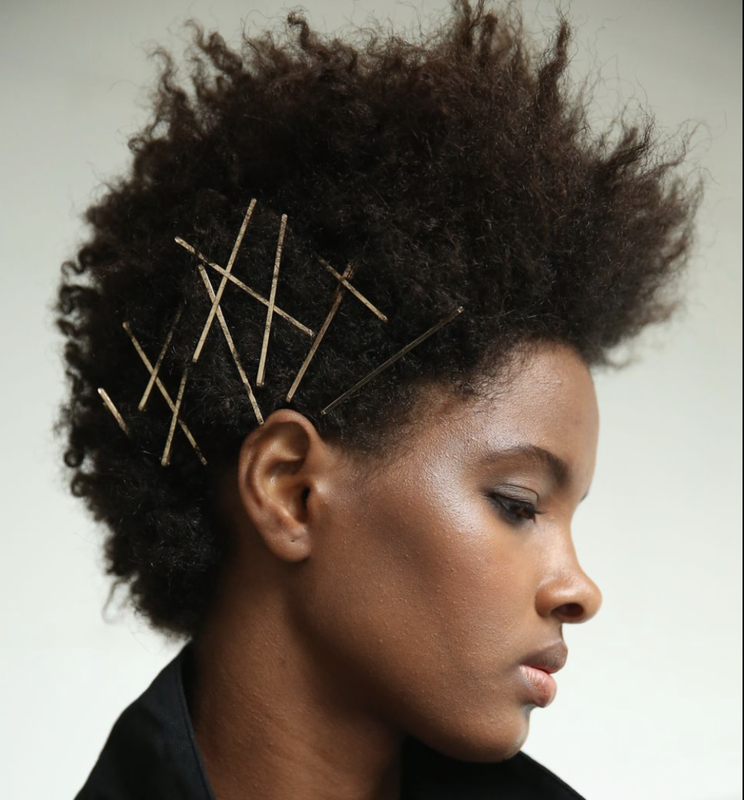 Check out the article for some fresh new styles using JUST bobby pins and let us help create the look for you! Watch as our Master Stylist moves through the ways on how she perfects the Balayage Technique. Take a look into how our Master Stylist creates the most perfect Beach Wave that anyone can achieve. Are you trying different products and nothing seems to work? It most likely isn’t the product, but your routine! Skincare can become very expensive and time consuming, but isn’t your biggest organ worth it? There are also affordable high quality skincare products that you aren’t noticing! Check out the link below on how to properly care for your skin and the routine that will transform your whole face! Blanket Scarves are the greatest accessory this winter. BUT, what if we told you it doesn’t need to be an accessory and can be a sweater? Trust us, we were skeptical too until we came across this article by Jessica Booth for gurl.com providing tips on all the different ways you can wear a blanket scarf. Not one, not two, but TWENTY different ways to wear them! Use as a regular scarf, a shall, even a shirt! Click on the link below and choose which style you would like to try next! PS) Are you convinced you need a blanket scarf now? Stop in to our Boutique inside the Salon and check out all the different colors and styles we carry! Comment below your favorite style! Going out soon? Check out these looks from the Emmy's! Plan on going to a big event soon? We’ve got you covered. With some of the best stylists in New Jersey and an in-house Makeup Artist, you are bound to look your best at this event! Click in the link below to check out some of the best hairstyles and makeup choices rocked on the red carpet. Free personal shoppers? Say it ain’t so! Listen, we are just like you. We love when things are free. That’s why when we found out Macy’s had a virtual online shopper on their website, we were ALL over it. What Macy’s does on their The Edit virtual online shopper is put together outfits for you so you don’t have to! If you are running late, having a fashion block or are just lazy (us! ), then you should be using this app! Click the link below to check out the article written by Cosmopolitan! Not all products are created equal. So why do we do that with hair? This article about life tips and tricks by Pureology goes into further detail about which products are best for YOUR haircut. The ankle length haircuts should not be in the same category as our pixies! Click the ultimate cheat sheet article below to read more about which product will work best for YOU (shh.. don’t tell the teachers we are giving you the answers). Call us at the Salon and see if we have the product in stock! We LOVE a good survey. Anywhere from “Which celebrity are you” to “Which coffee is most like your personality?” BUT, that doesn’t give us much information that can be useful. This survey by DermAware - Bio Targeted Skin Care helps identify which type of skin you have, while providing you with a list of skincare options that can help. Click on the link below to see what skin type you may have! We sell DermAware right in our Salon & Spa, or you can use the tab above to order yours online! We all like to think we are amateur professionals when it comes to braiding our hair. We have been trying to perfect this craft this we were 6, but always ended up defeated. Luckily for us, the good ol’ internet has provided us with every single tutorial we could ever dream of. In this article, you will find 17 different braided hairstyles that include GIFs to help guide you through this relentless hairdo. Give it a whirl and let us know how you do! Listen, we get overwhelmed by Runway trends also. You are NOT alone! However, something about Spring fashion always brings good things. The Spring 2019 hair trends on the runway usually has its ups and downs, but this year, they nailed it. Check out the article from Harper Bazaar on the spring trends from New York, Paris, Milan and London. Would you trust Redken’s hairstylist Guido Palau and hair colorist Josh Wood to transform your hair for a show? WE WOULD. Redken stylist Guido Palau and Colorlist Josh Wood were hard at work at Marc Jacobs Spring 2019 Fashion Show. Anywhere from colored buzz cuts to egg shapes bobs, the stylists weren’t holding back. Call it the color revolution, cause it has created a change on the runway. Check out the hair for NYFW and the rest of the article on Marc Jacobs Spring 2019 Fashion Show! Lets try and Maintain. Shall we? You’ve heard the saying “Old Habits die hard”, so lets focus on maintaining. Below are the 7 Simple Hair habits that can help maintain the color of your hair. Tired of needing salon visits more and more? Trust us, we love to see you. But we don’t like to see you unhappy. In order to maintain your hair color in between salon visits, here are a couple of tips to help with that! You will learn about how the ingredients in your products are affecting your hair, to the temperature of your shower! This is a product you should ALWAYS have in your lineup. If you have not used dry shampoo, I suggest you invest in a stock of it! Dry Shampoo takes away the natural oils that build up in your hair and provide a refreshing and oil free scalp. Here are 6 quick tips to everything Dry Shampoo & how to incorporate it in your hair routine! Where are all my non blondes at? Have you always thought that purple shampoo was just for the blondes? You thought wrong! If you lighten your hair, you MUST add purple shampoo to your routine. Purple shampoo can protect you from a lot of factors such as: V rays from the sun, chlorine and mineral impurities in the water. 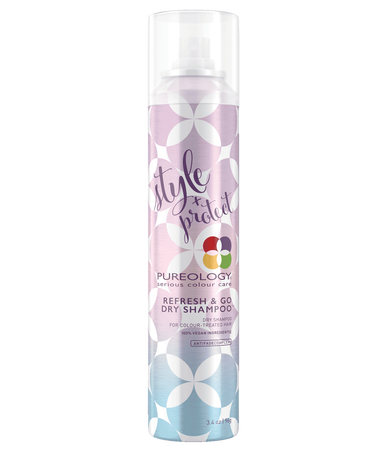 Check our Pureology’s Strength Cure Best Blonde Violent shampoo! Think about the color wheel: purple is opposite of yellow. Therefore, the purple counteracts unwanted yellow tones. Take me to Purple Shampoo! I know. I know. Cupping on the face? HELLO broken blood vessels! That is exactly what I thought when I received my first facial. I almost jumped off the bed when my esthetician mentioned facial cupping! With a lot of pushing and hesitation, I decided to give it a try. It wasn’t until I got home and looked at my complexion that I was in complete awe. When I tell you cupping is magic, IT IS MAGIC. The lines on my face were completely gone, my cheeks were GLOWING and I felt overall more “plump”. Don’t believe me? Check out the article below to see the 7 Benefits of Facial Cupping. If you are in the area, stop in the Salon & Spa and add the cupping to your facial! We all want to copy the latest trends happening in the fashion world. This season, we are seeing oversized denim jackets maintain their stake, as well as mini skirts. Whats the difference you may ask? We are seeing COLOR. The runway was full of desaturated styles mixed with pops of color. In the streets, the fashionistas are screaming with color. There is zero dullness in the NYFW street style & these pictures can vouch for it. Check out Harper Bazaar's best street style compilation below. Tell us what you think! We all want better skin. Right? So why do we splurge on clothing and accessories when our skin will always be our statement piece? Check out this article on the 23 Best skin products to own RIGHT NOW. Trust us, it will change your mind!